The Absolute Best Salon DIY Decor Ideas From Around The World – Fantastic Read! Have you ever heard of up-cycling? It’s the process of taking old (and seemingly useless) items and finding a brand new purpose for them. Over the past few years, up-cycling has become a huge trend. So much so, that companies from a variety of different industries have started re-purposing old material to make some amazing art, furniture and decorations. Out of all of these industries, the area where this trend seems to fit best is actually in the hair and beauty sector. Many salon owners have taken to flexing their salon DIY skills and creating some eye-catching and amazing-looking additions to their business. Whether it is converting old wooden pallets into a seating area or creating a unique magazine display out of old window shutters, these salon DIY ideas are simply fantastic. Pretty amazing, right? This kind of style is becoming more and more popular. Part of the reason behind this popularity is the making of something beautiful out of the ordinary (I’m sure you guys can relate to that, right?). Finding value in something that others may not see. And, once you put it up, people will never look at those old items the same way again! These Salon DIY up-cycling ideas are also a fantastic way to show your clients that you are not just about business but that you think about the environment as well. Lets not forget how impactful they can be for brand exposure. Just imagine how many people will whip out their smart phones and snap pics of your window frame waiting table or your cigar box retail display. These are quirky, original and compelling creations that people want to share with each other. And your brand can take full credit for providing that experience! 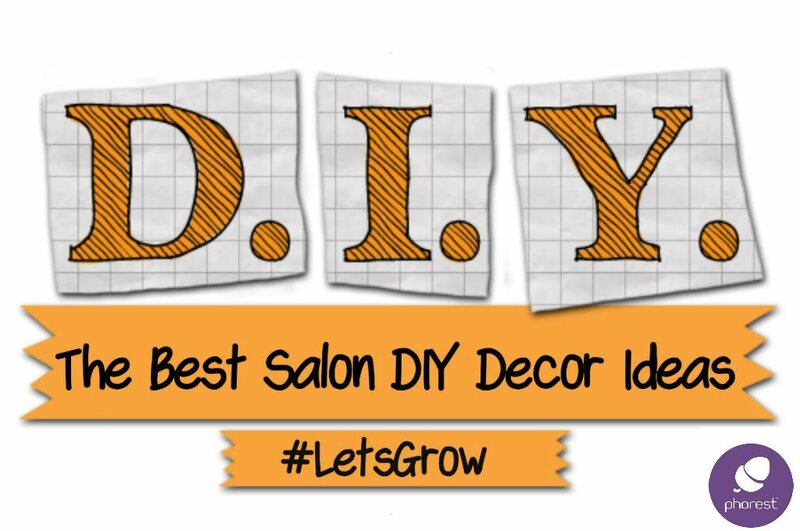 Have you seen any other salon DIY ideas that you absolutely loved? I’d love to see them.. Simply drop us a tweet at @ThePhorestWord. Oh and if you were interested in some unique salon business card ideas, click here! And if you are looking to take your business to the next level, why not request a demo of our salon software today? Simply drop your info into the demo form below!